Just before we left for Thanksgiving the siding arrived from Lowes. I had unfortunately chosen the Westminster store that was farther away for the delivery which I found out when I arrived at the closer store. It was about 20 minutes further away but the staff were very friendly. I brought home six panels of Navajo Beige cement board siding and a container of edge paint that it turned out they had given me. I also ordered two more containers so I should have enough edge paint. 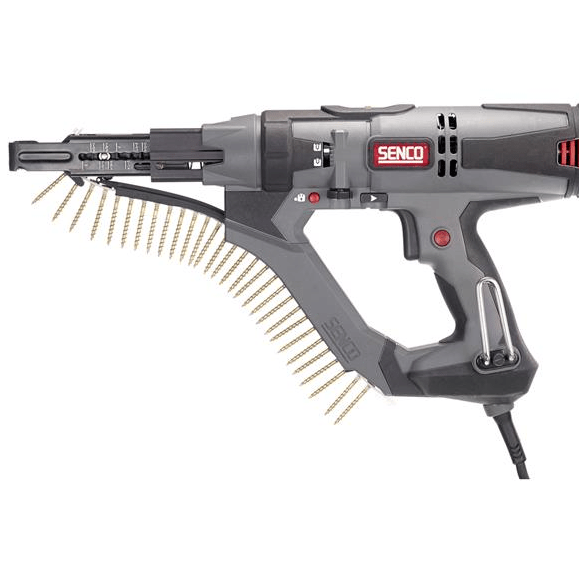 I bought a Senco auto feed screw gun for the job. I found the best price at Menards online. We do not have a local Menards store but some of their items can be delivered to the home for a reasonable shipping fee and still be less expensive than other sources. I investigated stainless steel screws for the siding but I could not find screws long enough to use with the rainscreen and 1″ polyiso insulation sheathing. 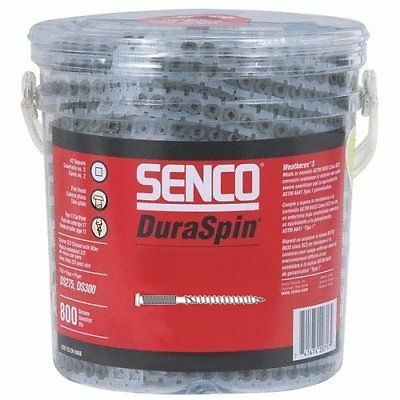 So I bought 2 1/2″ Duraspin deck screws. I had to buy them online because the store did not have screws this long and I did not notice they have a slight pan head instead of a countersunk head. This turns out to be an advantage when using cement board siding as they are less likely to penetrate through the panel. Unfortunately, Navajo Beige is really an off white. 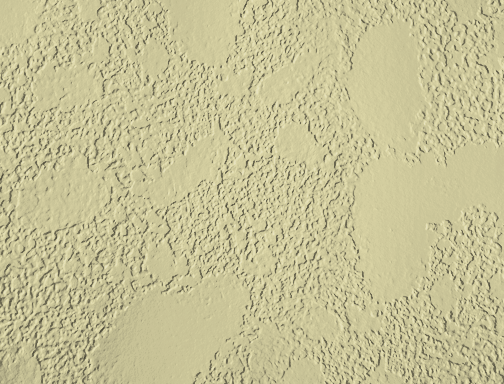 I was worried about the color tan clashing with the stucco and now it really clashes. 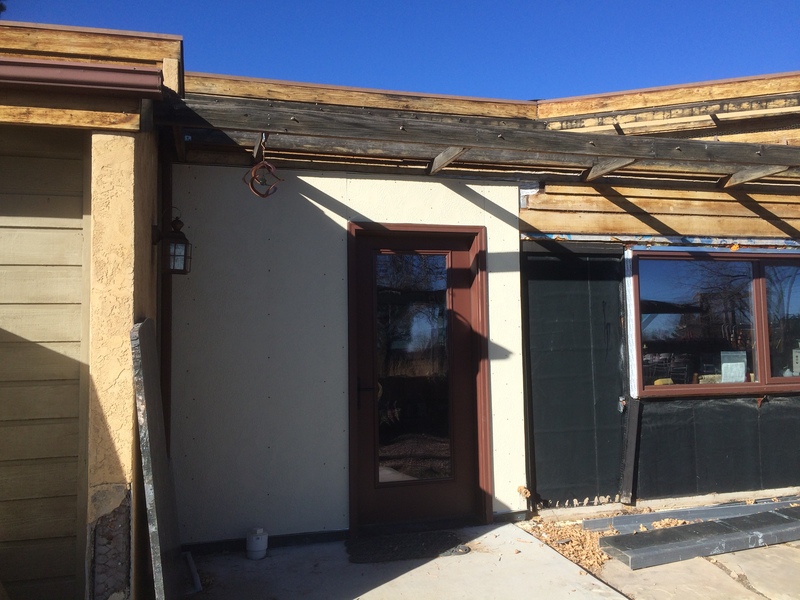 Eventually we will paint either the stucco or the siding, but for now the boards are impregnated with the color and we will not have to think about painting for some time. Navajo Beige looks like a light tan on the color sample but definitely looks white on the wall. 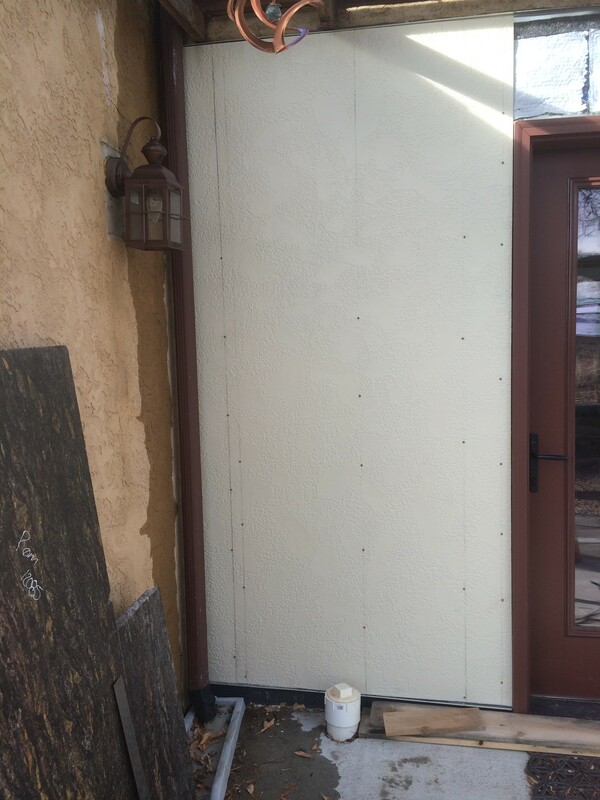 The first panel was exactly 48″ so we did not have to cut the panel vertically. We removed the plastic protective sheet on the first panel and you can see the chalk lines that show the stud locations. I remembered to leave the plastic on for subsequent panels. But it is a little harder to mark and cut with the plastic on. I also bought a special tool to cut the siding. 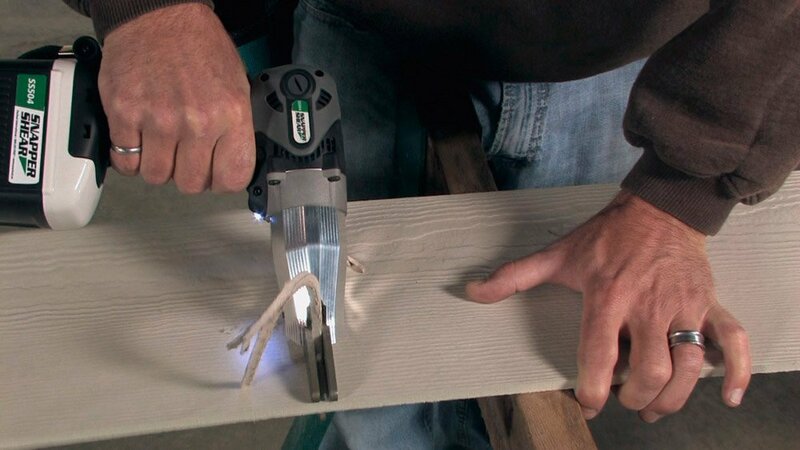 It is a PacTool battery powered cement board shears and they really work well. The package came with two batteries and the cutters are supposed to last for three houses of siding. We’ll see. It really makes the job of cutting cement board much easier. These work the same for the panel siding as for the plank. The cut edge is then painted with the touch up paint before it is installed. The touch up paint comes with a dabber bottle that has a small pad to press against the edge. It does not flow that easily but I used the sander to help smooth the edge to take the paint better. I was able to finish the area around the front door before we left. Although the small corner near the water spigot was quite problematic. The corner broke off when I tried to screw too close to the edge and then I had to make multiple attempts at cutting a new corner with a curved top. Eventually I settled for a corner that was almost right and wedged a small piece in above the spigot to close the gap. Not pretty but not that noticeable either. I’m pleased with the siding so far. It is a very clean look. This entry was posted in Air Intrusion/Thermal Envelope, Construction, Tools. Bookmark the permalink.